A car wash, whether done professionally or on your own, is one of the most important things to do for your vehicle on a regular basis. Aside from just cleaning your car, it can prevent dirt and residue from building up on the exterior over a long period of time. After all, the longer you wait to get a car wash, the harder it is to clean any accumulated residue that may exist on your vehicle. If you’ve ever washed your car a few days after the paint was waxed, you know how much easier it is to clean than a car that hasn’t been waxed in over a year. One is so smooth that the sponge or wash mitt effortlessly glides over the paint surface to remove dirt. The other, it takes some serious scrubbing and effort to remove caked on dirt. Washing your car yourself is usually the best and cheapest option but paying a professional car wash service is by far the fastest and easiest. Since some car wash services may also include towel drying, interior vacuuming, and even complete auto detailing, you often get what you pay for. Like many other service industries in the Unites States, tipping is encouraged. This article is not written to argue whether one should tip at all (I’m personally conflicted on this), but rather how much if you choose to do so. So what is proper tipping etiquette for a full service car wash or automotive detailing service? The tip amount you leave the car wash attendant or car detailer should depend on the size of your vehicle and how many additional services other than exterior washing they perform on it. And, of course, the quality of the job should be a consideration as well. 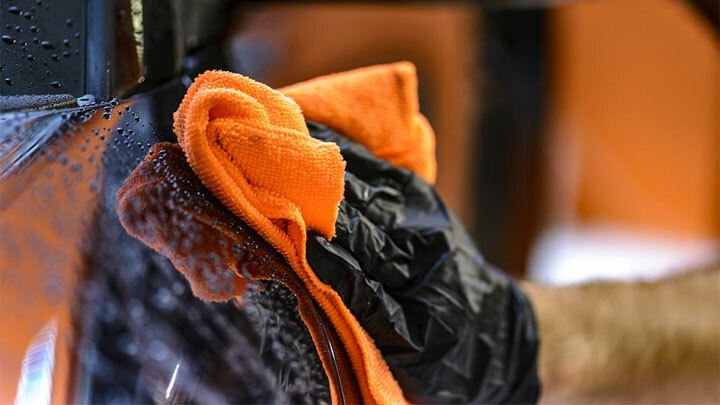 Below are the 5 most common tip amounts you can expect to give at a full service car wash or auto detailer. All amounts are based off a job well done. If you feel you received poor service, there’s nothing wrong with tipping less than the standard amount. On the other end of it, feel free to tip more to an attendant or detailer who has done an exceptional job. A $2 tip is fine if you have an economy size car that is getting washed and towel dried by hand. A $3 tip is better if you’re getting your economy size car vacuumed in addition to the washing and hand drying. $4 is a standard tip if you have a bigger car to get washed, such as a van, truck, or SUV. These vehicles require more time to wash which means a bigger tip is better. A better tip to give if you’re getting your larger vehicle vacuumed as well as washed. If you are getting a full service car detailing in addition to a wash, then a 15% tip on the total amount will be best. This percentage is also a good amount if you cannot decide on a proper tip to give the person. So, for example, if your complete auto detailing services costs $100, then leave the person who did the work a $10-$15 tip. Overall, the amount of your tip should be based on the quality and value of the service you received for the money that you paid. 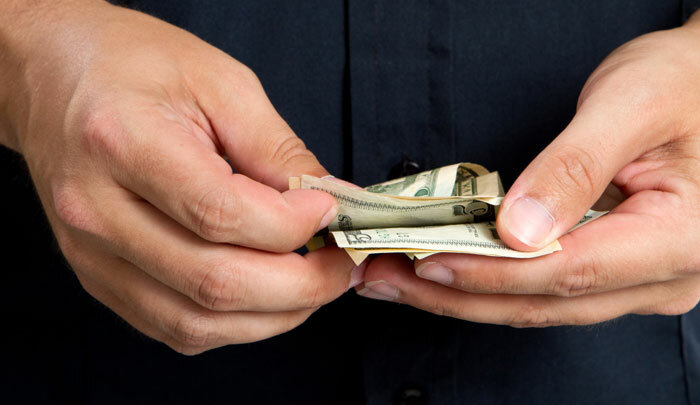 Although tipping is never something that is required, it does show an appreciation to the service person for the quality job they did on your car. Tipping for auto services seems to be more common in larger cities but there’s no rule that says you can’t tip a car wash attendant in rural Iowa. If you’re a return customer and the attendant remembers the nice tip you left last time, they often go above and beyond the call of duty in order to please you and sometimes even throw in some free extras they know you’ll appreciate. Some may disagree with me on this, but if the service was bad, it’s completely fine to lower the tip amount or not leave a tip at all. Tipping is something that should be a bonus and not something expected. Unfortunately, too many businesses disagree with this and you’ll often be best to take your business to someone else. Good reminder to tip according to services done during detailing. Sometimes you forget about all of the work that goes into detailing: tires, windows, polishing, etc. The tip should match the types of services. I always have to tip the last person I see, the one who gives me my keys back, so I never know if the tip gets shared.